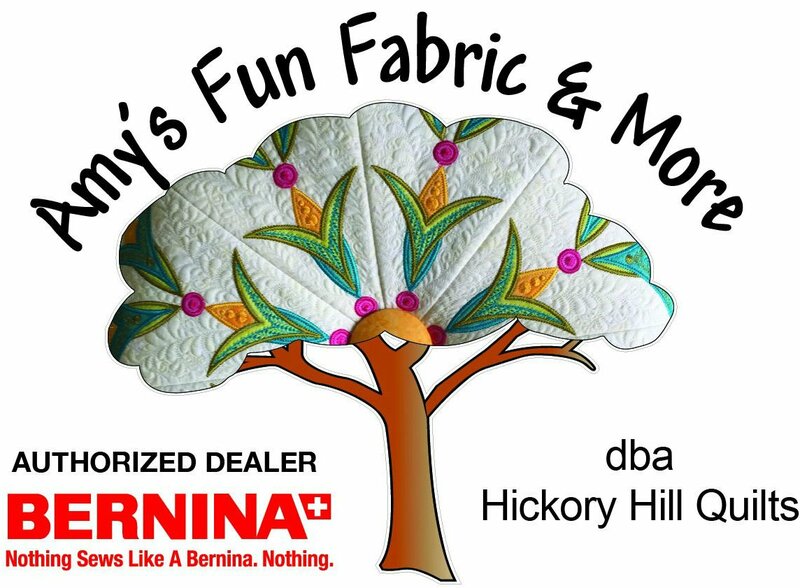 HICKORY HILL QUILT CHALLENGE VOTING IS OPEN! We received 6 gorgeous quilts! I am so pleased. Many of the participants have never entered a challenge and I'm proud they stepped out of their comfort zones and participated! The voting cards will be at the cash register. Everyone who makes a purchase 12/1 - 12/14 will be entitled to one vote! We will announce the winners on December 15 during our Christmas Party! We will award the prizes at 1:00 if you want to be here! Winners will be contacted on 12/14 - End of Day - so they know that they have won a prize. They will not know which prize till 1:00 on 12/15! December 15th we will have a Hickory Hill Quilts Open Sew and Pot Luck Day and it will serve as our Christmas party! I'm hoping you will come join us for some Pizza and treats and bring something to share! Thank you for being such wonderful patrons. I enjoy serving each and every one of you! COME SEE US AT HICKORY HILL!